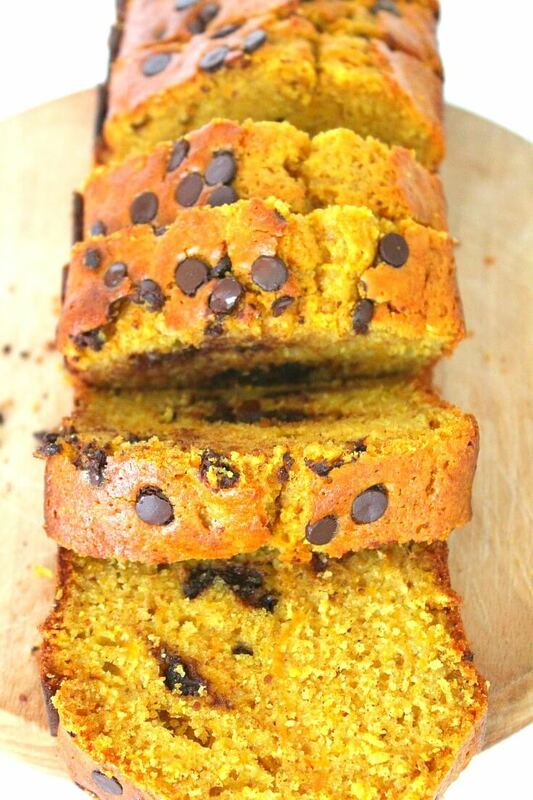 If fall means everything pumpkin for you, then this ah-mazing Chocolate Chip Pumpkin Bread Recipe is right up your alley! And you’ll most likely want to make this delicious treat all year long! To me, it’s not fall until you enjoy a slice of pumpkin pie or bread or whatever pumpkin dessert you might wanna make this time of year! As long as it has lots and lots of pumpkin you’re safe, you and I can be friends! 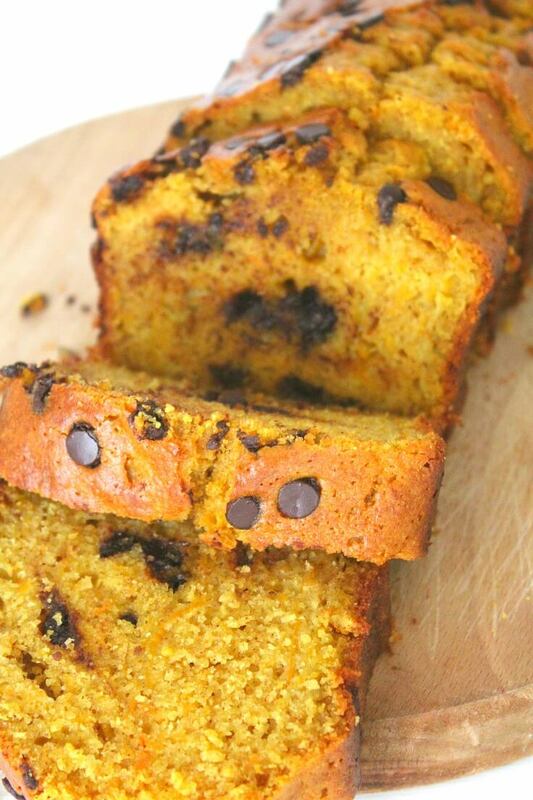 This delicious chocolate chip pumpkin bread recipe makes a wonderful fall snack, dessert and, why not? breakfast idea. 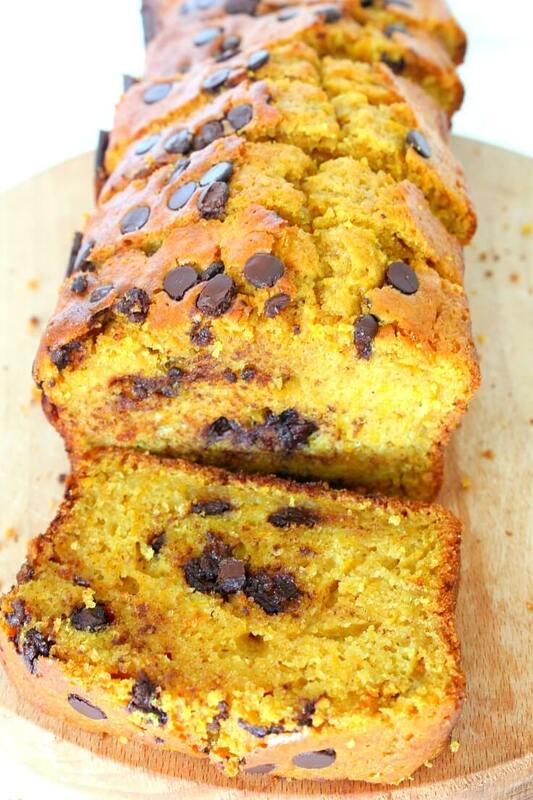 So if you want us to be best buddies ever, make sure you add chocolate chips (after all, this recipe is called CHOCOLATE CHIP pumpkin bread, you know!) to your whatever pumpkin dessert you’re making! But better make this one, like right after you finish reading this article. Seriously, it’s that good! 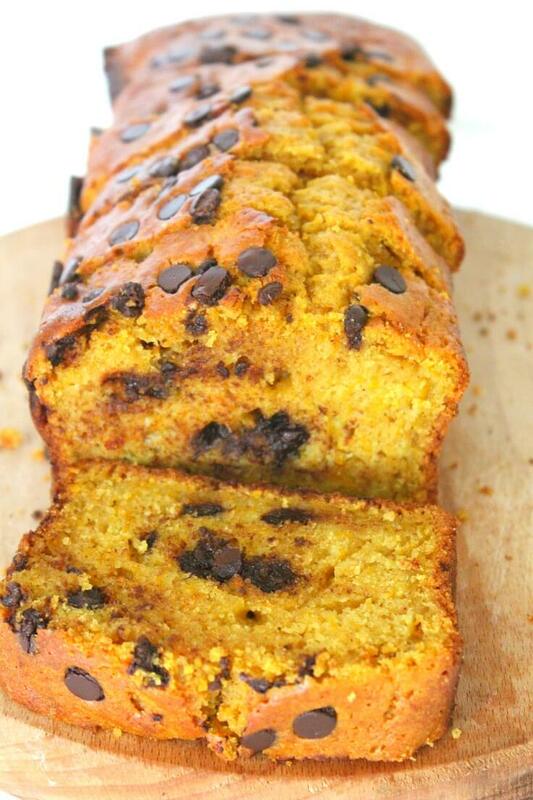 This easy and flavorful chocolate chip pumpkin bread recipe makes a moist and pretty dense bread, dotted with chocolate chips and baked to perfection for the ultimate fall dessert! A great alternative to the classic pumpkin pie you probably got tired of after making for so many years. This chocolate chip pumpkin bread recipe is as easy as it gets and will make your house smell amazing when baking. The combination of fresh pumpkin and cinnamon is simply irresistible! Serve it warm or cold, it’s just as delicious both ways! Pinned and featuring on this week’s Hearth and Soul Link Party, Petro. Thank you so much for sharing this delicious autumn pumpkin bread with us! Thanks so much for sharing your awesome Pumpkin Bread, it looks so good! Hope you will come back to see us at Full Plate Thursday real soon and have a great week!